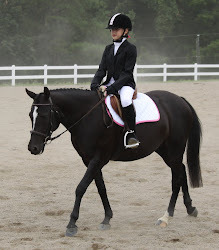 I've been thinking a lot about adult amateur riders and how different their training experiences can be when it has to be squeezed into a busy schedule of family, work, housekeeping, and horsekeeping. This article was truly inspirational at a time when I was really struggling with the "why do I do this?" that hits us all at different points. I hope you find it hopeful as well.